Teodora Serafimova is a manager at the environmental NGO Bellona. With its headquarters in Oslo, Bellona has played a central role in initiating Norway’s electric revolution: from importing the country’s first modern electric vehicle (EV) in 1989, to fostering the introduction by the government of the first EV friendly policies, Bellona today seeks to replicate this success story onto the EU level from its Brussels office. New studies emerge on a nearly daily basis linking up an ever growing number of illnesses and health risks to air pollution from conventionally fueled road transport. In fact, the European Environmental Agency has identified poor air quality as the single largest environmental health hazard on the continent, resulting in an estimated 467,000 premature deaths per year. Road transport is to blame for the lion’s share of health damaging local air pollution, being the largest source of NOx emissions (46% of total EU emissions) as well as particulate matter (PM). The Dieselgate scandal has shown that systematic fraudulent emission testing practices have helped car makers achieve significant profit, amounting to roughly €7 billion, from cheating their way into compliance with EU regulations. The bill has instead been paid by society – in the form of deadly air pollution levels and reduced quality and length of European lives. In fact, one in three Europeans living in cities today endure air quality deemed illegal under EU air quality standards. So what if this heavy human health cost was to be borne by fossil car makers, and reflected in ICE cars’ price tags? Bellona’s new policy brief attempts to answer these questions: Given there are currently 253 million ICE cars on European roads, and taking into account the fossil car industry’s total annual human health-related economic burden of roughly €600 billion, each EU-based ICE car would have to pay back €2,371 per year to correctly compensate the public, and truly reflect its footprint on human health. These unaccounted for human health costs of an ICE car would amount to roughly €23,715 during its lifetime. If these external costs were to be taken into account this would result in the doubling of ICE cars sticker price to €50,150. The unaffordable personal and economic cost of air pollution underscores the need for strong policy action on EU and national levels. Investing in electro-mobility, marked by greater efficiency and a positive contribution to tackling air pollution would therefore result in substantial health and monetary gains. A case study performed on the city of Rome for instance found that even a modest shift of 20% of the fleet to electro-mobility would result in substantial health benefits by reducing the population’s exposure to PM10 by 30% and to NOx by 45%. Bellona’s brief also takes a closer look at Norway, the country with the highest penetration of EVs per capita, where EVs now account for roughly 30% of new car sales. Like the majority of European cities, however, Oslo has suffered poor air quality problems arising from its still predominantly diesel-powered vehicle fleet. In response to these recent spikes in air pollution, the city council has moved to ban diesel cars, and a complete phase out of all fossil cars is planned by 2025. NO2 emissions, mainly from transport, have been a major contributor to the 185 premature deaths claimed by air pollution in the Norwegian capital each year. The total economic cost of the premature deaths from air pollution incurred by Norway in 2010 is estimated at €807 million. By comparison, the yearly government spending on EV incentives (direct and indirect) for the whole country has been between €400 and 500 million, roughly half of the estimated yearly human health cost from air pollution. Enabling the EV revolution in Norway has thus been a cost-effective means to saving human lives and the environment. 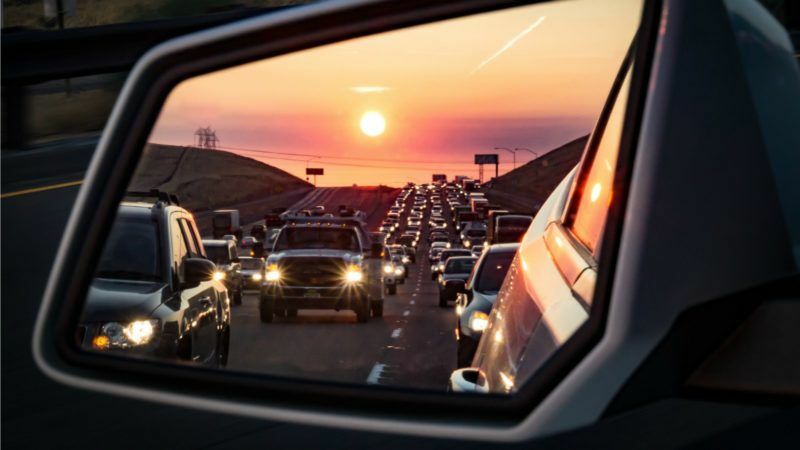 Today’s fossil car industry-induced air quality and human health crisis should serve as a wakeup call for accelerating this inevitable transition. The key to effectively internalising the fossil auto industry’s costs lies in the signals provided to consumers when prices reflect true costs. Providing transport users with correct price signals would help in initiating efficient behaviour and help to foster the uptake of electric mobility. As a first step, reflecting ICE cars’ heavy human health cost in their purchase price would enable consumers and car manufacturers to make informed purchase and investment decisions. Bellona’s full policy brief can be read here.